The intensive media coverage which followed the production agreement with American firm Chris-Craft has projected the Austin Parker brand into the international spotlight in a way that has quickly brought concrete benefits. The Italian builder, based in Pisa and already represented in several European countries, Asia and the United States, is opening new sales agencies in Portugal, Sweden, Belgium, Australia and New Zealand. This marks a fitting end to 2016, a year of decisive importance for all Austin Parker's future growth strategies: engaged on a large-scale renewal program which began three years ago and is still ongoing, the firm is now focusing its attention on a new line of yachts which will keep faith with the "family line" that has brought it such success. This line, larger in size, will target a more select, prestige clientele. The first model to be presented, the 74 Fly S, scheduled for completion by the end of next year, will be followed by 84, 94 and 104 versions. This is all the product of the partnership with architect Fulvio De Simoni, who has styled every model in the range since the relaunch of the Austin Parker brand in 2008. Bavaria Motorbåt Norge AS is expanding its collaboration with Bavaria Yachts Germany and is now the exclusive importer of sailing boats in Norway. 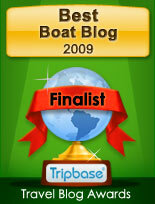 Bavaria Motorbåt Norge AS has successfully imported motorboats made by Bavaria into Norway for 15 years. The company name has been changed from Bavaria Motorbåt Norge AS to Bavaria Båt Norge AS. The sales and service of Bavaria Yachts sailing yachts and motorboats are now provided from a single source. Lars-Erik Solvang and the Bavaria Båt Norge AS team now offer the whole product range of the second largest shipyard for series yachts. Lars-Erik Solvang has been associated with the Bavaria Yachts brand for over 15 years. He was initially a office manager for Lunde Båt AS the former dealer of sailing yachts made by Bavaria, and later founded his company Bavaria Motorbåt Norge AS and became an importer of cruisers made by Bavaria. At the company’s headquarters in the Leangbukta Maritime Centre near Oslo, sailing yachts and motorboats can be viewed in the 800 sqm Bavaria Båt Norge AS exhibition hall. In Stavenger, customers are supported by the Flow Marine AS team. 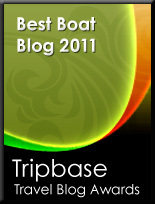 Indeed, service relating to Bavaria vessels is offered to customers at both sites. Heralding the start of a new era for oldest French yacht builder Chantier Naval Couach, the company has announced a number of dynamic changes to its team, as well as a new range of yacht designs to represent a more contemporary look for the company. Couach is also working on a collaborative project with a world famous yacht designer, to be announced in the coming weeks. The new wave of talent joining Couach includes a CEO, Deputy General Manager, and Marketing and Communications Assistant. While respecting the original philosophy of bringing excellence to its clients instilled in Couach’s DNA, the appointments are expected to signal a new momentum in its commercial and creative development.Walter Ceglia takes up the post as CEO of Chantier Naval Couach, to drive the company’s new growth. A Harvard Business School alumnus who speaks six languages, Ceglia brings two decades of experience in the energy, automotive and electronics industries across four continents to Couach. A dynamic and motivating leader, he is expected to bring a new tempo to the yard’s activities, while continuing to work with his predecessor to continue the strengths for which the company is best known. Walter is joined by new Deputy General Manager Michel Prezioso, who will also be managing the marketing and sales activities for Couach. An expert in luxury markets, Michel Prezioso combines this commercial experience with his career in the maritime services industry to perfectly suit his new role. Regarding the attraction to his new role, Michel commented: “I joined Couach because I’m passionate about boats and navigation. I have known the ￼Couach brand for many years and I firmly believe that the opportunities and potential for development will deliver incredible success to the shipyard. We are writing a new page in the history of Couach, and I am motivated to contribute to this.” Michel’s commercial endeavours will be supported by new Marketing and Communications Assistant Camille Pinel. Having grown up in a maritime environment of sailors, shipbuilding engineers and yacht brokers, Pinel spent over a decade in Saudi Arabia and realized a part of her studies in the Moscow State University. She is well placed to lead Couach’s marketing efforts, and to explore the potential in emerging markets. Guillaume Peuchant, recently appointed Vice-President Defense, is managing PLASCOA department defense and professional boats since now 5 years. Former Naval Architect and working in the maritime activity for 20 years. Guillaume travels all over the world to introduce Couach Plascoa experience in governmental administrations such as Coast Guards, Customs and Navies. “Couach is a company where everything becomes possible thanks to fully integrated shipyard with in-house naval architects, design office and R&D departments. Sky is the limit!” commented Guillaume. From 1st September 2016, Virginie Piccolo becomes part of the new Commercial Department. She will be responsible for the Business Development and the Marketing of the Brand. With more than 15 years of experience in the world of luxury and based in the French Riviera, she will strenghten the shipyard’s image and she will also promote the renovation of the Couach brand. After the Cannes Yachting Festival, Evo 43 doubles up for its return to the French Riviera. One of these famous Italian day cruisers was moored in the gulf of Saint-Tropez as “guest of honour” at the traditional Les Voiles regatta event, while another could be admired in the port of Monte Carlo: two of the most glamorous locations on the French Riviera and the perfect backdrops for a jewel of design and technology like the Evo 43. After the success of last year’s initiative, Rossinavi shipyard confirmed the role of Evo 43 as official 2016 Monaco Yacht Show tender, and from September 28 to October 1, the innovative motor yacht built by Evo Yachts carried some of the Viareggio-based shipyard’s top clients to Monte Carlo. In the same period, but 80 nautical miles away, a second Evo 43 (with a white hull) made its way to another gorgeous location on the French Riviera: Saint-Tropez and the storied “Les Voiles de Saint Tropez” regatta. At this week-long event, held from September 24 to October 2, the world’s most beautiful classical and modern sailing yachts challenged each other in the spectacular regattas organised in the waters of the gulf. Throughout the event, the Evo 43 was moored nearby for visits on board, sea trials and a unique view of the regattas. This isn’t the first time Evo Yachts has been a special guest at a world-class event, because the innovation, high-tech content and unique design bestowed on the Evo 43 give the boat an entirely out of the ordinary appeal that never fails to turn heads wherever it goes. Horizon City Marina, built by Horizon Group as the first private luxury yacht marina in Taiwan, was recently accredited by the Marina Industries Association within the Gold Anchor Global Marina Accreditation system, earning four Gold Anchor certifications for the marina’s customer service, value, and compliance with industry standards. MIA celebrated Horizon City Marina’s contributions to Taiwan’s yachting industry in a special certification event on Sept 20th witnessed by the Kaohsiung city government and attended by MIA President Mr. Andrew Chapman, who traveled from Australia to Kaohsiung for the event. The Gold Anchor Global Marina Accreditation system was founded in 2013 by the and the Yacht Harbour Association, which both offered their own versions of the Gold Anchor schemes but teamed together to form this single global accreditation system. According to the organizations website, the Gold Anchor Global Marina Accreditation, “provides a template for customer friendly marina development. The Scheme also assists marinas to more effectively position and differentiate themselves in the market place.” Similar to the hotel star rating certifications, the Gold Anchor Marina Accreditation system can issue a total of five gold anchors, based on the highest rating in a variety of categories, measurable items include ambiance; planning, policies and procedures; customer service; environmental; on water facilities and infrastructure; and on shore facilities and infrastructure. Areas such as software planning, educational training, environmental protection measures, and the surrounding environment are taken into consideration within these categories. To evaluate the marina, mystery visitors will make unscheduled visits as well as assess customer satisfaction. As Taiwan’s only internationally classed marina, Horizon City Marina provides berths for 33 feet (10M) to 197 feet (60M) yachts at its central location in downtown Kaohsiung; logistics, repair and maintenance, provisioning, trip planning/tourism, and other professional marina services are offered for our visiting yacht owners. Following the successful debut achieved during the latest edition of the Boot Dusseldorf 2016, to find a dealer for the German market as well as for the key countries of northern Europe become one of the main priorities for the young Italian shipyard. “Invictus is a brand with typological features particularly suited for sailing in lakes – states Christian Grande designer for Invictus Yacht - for this reason we firmly believe that our products will easily find a good position in these countries’ markets. Countries marked by a stable economy leading to better results in terms of sales if compared to other European countries where the crisis is still having a negative impact on the actual sales and on the overall market trend even now.” “Dealers’ selection has been difficult and well balanced – stated Grande – After waiting more than one year before deciding to which partner we could reserve the exclusive distribution of our brand Invictus, today we have succeeded in identifying the most appropriate dealers, capable of describing to potential clients our products Invictus in detail. More generally, the dealers we selected are partners with equipped and appropriate facilities, able to provide the proper support to customers also in the after sale activities. This is fundamental for Invictus, which considers the service as important as the product: the owner who choses Invictus becomes a spokesman for the brand and his satisfaction becomes a key factor. 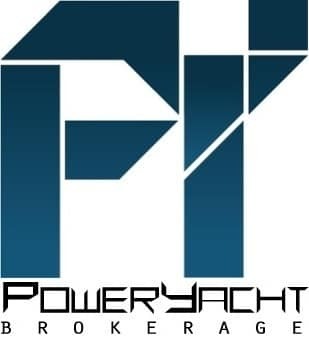 For this reason, it’s important for the owner to be supported and helped also after having concluded the purchase.” According with the faster growth of the shipyard, Invictus Yacht is proud to announce that the new dealership agreements are the results of a big effort aim to improve its dealer network, thanks also to the importers help now divided as follow. After one of the most challenging years in its history, Princess Yachts International Plc today reports a loss before taxation of £20.25m on turnover of £201.23m for the year ending 31 December 2015 (2014: £239.63m). Although disappointing, exceptional factors have played a significant part. The lingering effects of damage to stock, facilities and production scheduling caused by the hurricane-force storms in 2014, coupled with unfavourable sterling exchange rates and high-margin boat models reaching the end of their life-cycle combined to exert unprecedented pressure on PYI's operations throughout 2015. In the meantime, PYI has strengthened its product line  adding six state-of-the-art models to its range in as many months  and appointed an Executive Chairman, Antony Sheriff. Previously CEO of McLaren Automotive, and holder of a number of senior roles at Fiat, Mr Sheriff has a strong track record in leading profitable businesses with best-in-class luxury products. Already, PYI is seeing tangible indications of a return to normative performance in 2016 with positive operating profits over the past three months. Orders are at their highest levels since 2007, with record sales at the Cannes Yacht Show in September, and trading conditions are increasingly favourable, as the company is deriving significant market advantage from the recent realignment of sterling-based exchange rates. Significantly, Princess has embarked on an ambitious product development strategy and a new product renewal cycle as part of its long-term business plan and the company is now recruiting skilled professionals in key areas to realise its ambitions. The board forecasts renewed buoyancy across the PYI business in 2016 and 2017. Already, £14m has been injected as the first stage of an ambitious three year £55m investment by PYI which will see further development of the product portfolio, as well as production improvements at the company's manufacturing facilities in Plymouth, which employ more than 2,000 people. Princess Yachts International has announced the appointment of Paul Mackenzie as Product Development Director. After nearly two decades at McLaren where he was responsible for spearheading the brand's Special Operations division, Paul follows Princess' Executive Chairman, Antony Sheriff, making the move from the renowned super sports car manufacturer to the Plymouth based yacht builder. During his time at McLaren, Paul created a new business within the company, providing luxury customisation and building limited run vehicles, which became a significant profit centre for the company, while also directing the development and launch of the award-winning McLaren P1. Having graduated with a BEng (Hons) in Composites Engineering at Plymouth University, Paul will return to the city as he takes up the new position at Princess Yachts. Overseeing the existing design team, Paul's role will see him drive forward the development of the company's product range, helping to maintain its strong position as one of the most respected manufacturers in the industry. At the Cannes Yachting Festival, Princess Yachts revealed the incredible artistic installation created by two recently graduated students as part of an on-going partnership with Plymouth College of Art. Situated in the South West of England, within close proximity of each other, both Princess and the college are highly regarded globally, and both continue to push the boundaries of design and craft. The college, which was established in 1856, is renowned in art circles as one of the most important artistic establishments of all time, with a rich history, outstanding curriculum and a facility admired by professional institutes the world over. The partnership has evolved as part of Princess Yacht's determination to show the beauty and craft behind every element of yacht manufacturing. After viewing the building facilities, Plymouth College of Art were captivated by the network of hidden wires that breathe life into every Princess Yacht and invited two of their most passionate, recently graduated students to create a piece of art that brought to life this often overlooked, yet fascinating process. The two artists, Fern Robinson and Hannah Webb, graduated this year from the college. With a BA (Hons) first class degree in Contemporary Craft, Fern was looking primarily at tactile engagement, utilising cables that are ordinarily found in the nervous system of a Princess yacht to power everything from instrumentation on the bridge to generators, engines to air conditioning, lights to latrines, and even audio and visual equipment. The artwork was revealed at the marine calendar's most prestigious event  Cannes Yachting Festival at the Princess Yachts stand, before it travelled to Southampton Boat Show last month. The creation marks the first stage of the partnership between the two South West organisations that will see Princess become part of the revered college's on-going curriculum. The collaboration is another way Princess is looking to support the local community, helping the area of Plymouth to thrive and grow, building on the brands existing established apprenticeship scheme. Both Princess' Haslam and the college's Professor Brewerton agree that what most areas of industry needs is out of the box thinking and a live:work behaviour to take hold, as corporate life seems to all too easily lose an important aspect of tactility and personality, both of which are crucial for innovation and progression. There’s nothing quite like cruising in company to idyllic destinations to remind you why the global Riviera Family of owners are so passionate about the rich and rewarding boating lifestyle. These are the types of adventures that build the confidence and skills for people to use their yachts to their full potential, that create the very special memories that last a lifetime, and, importantly, are often the beginning of long-lasting friendships. Indeed, the camaraderie on the Riviera Rendezvous in the San Juan Islands is clearly valued by the marque’s growing family of owners on the West Coast of the United States who, each year, gather together to celebrate Riviera and the very best of the boating life. The 2016 Riviera Rendezvous was the largest and most fun-filled ever held in the Americas, with beautiful sunny weather, over 150 people and 40 Riviera yachts attending. 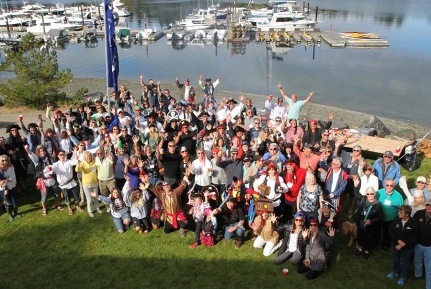 Guests came from the Pacific North West, Seattle and Canada to enjoy the events at Roche Harbor and Snug Harbor Resort, hosted by dedicated Riviera and Belize dealers Emerald Pacific Yachts and Van Isle Marina. Riviera owners and enthusiasts celebrated with a potluck dinner that would make any foodie smile and a pirate-themed day of fun that included a gourmet feast included a pig roast, live music and games with terrific prizes. Long-serving US Riviera dealer Rob Scott, from Emerald Pacific Yachts, said the high level of participation added to the fun among st a great group of people. Swashbuckling Seattle Riviera owners Nelson and Kathy Goodsell – attending their 6th Riviera Rendezvous – took out the best-dressed prize with their pirate attire, and also organized prize-winning Riviera Ribs which were deliciously presented on a pirate ship plank for all to enjoy. Michael Asmussen owner of the 34 Open Flybridge, Runaway said the friendships made throughout the event ensured great company for the entire cruising season. Riviera’s US-based international sales director Chris McCafferty travelled from Florida for the Rendezvous, while Brand & Communications director Stephen Milne flew in from the Riviera factory in Australia to express the company’s appreciation for their continued loyalty, on behalf of the 500-strong team on Queensland’s Gold Coast. Represented by an international dealer network spanning the globe, Australia’s largest and most-awarded builder of luxury motor yachts continues to expand its international footprint, with support from the world-class factory on Australia’s Gold Coast. Riviera has an American headquarters in Stuart, Florida, where a talented team of highly regarded owner care and service staff led by international sales director Chris McCafferty provides support for both dealers and owners in every market outside Australasia. In Barcelona, Spain, Riviera has recently appointed European sales manager Jan Van Oostenryck to further strengthen its international presence and to further support both existing and prospective owners. Riviera has an unparalleled commitment to customer care, which includes exclusive invitations to regular Experience trips cruising in company with fellow members of the global family of Riviera and Belize owners and also hosts regular educational and social events. Each May, the Riviera Festival of Boating is held at the home of Riviera, the 14-hectare, world-class facility on Australia’s Gold Coast. 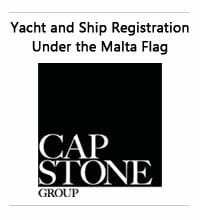 This truly unique festival of fun and learning includes spectacular social events and, in 2016, over 110 free educational seminars and workshops were created to assist owners to harness the full power of knowledge of their yacht, its systems and also handling techniques from docking all the way through to extended offshore passage-making. International buyers are also offered the opportunity to take delivery of their luxurious Rivieras in Australia, exploring the Queensland and NSW coastlines aboard their new motor yachts and taking in iconic attractions including Sydney Harbour and the Great Barrier Reef. Mr Longhurst said such consideration for Riviera’s global ‘family of yacht owners’ is creating decades of confident and enjoyable boating. Riviera calls this: ‘the ultimate boating experience’. Riviera’s strong commitment to the future of the Australian marine industry continues to be recognised and rewarded through the outstanding achievements of its high-performing apprentices. There are now some 50 apprentices learning their trades and honing their skills at the world-class Riviera facility on Australia’s Gold Coast – a mixture of fulltime, mature-aged and school-based apprentices. School-based lamination apprentice Dominic Perry feels the deep sense of pride he has in his work stems from the hallmark ‘ethos of excellence’ that applies to everything that Riviera undertakes. School-based boat-building apprentice Cameron Wilton from Helensvale State High School was awarded the Gold Coast region’s School Based Apprentice of Year. The School Based Apprenticeship and Traineeship Awards recognise and celebrate the outstanding achievements by students, staff and schools within the vocational education and training sector who strive for excellence, best-practice and innovation. Shaun Austin, another Helensvale school-based apprentice boat-builder, was also a deserving finalist in the awards, a fact Riviera Quality, Safety & Training Manager Adam Houlahan says reflects his commitment to excellence on the factory floor, and in his studies. Also in attendance at the recent awards night were families, schools and training partners celebrating the successes of students. Riviera also partners with Beenleigh State High School, Nerang State High School, Varsity College and Livingstone Christian College for the School Based Apprenticeship Program. In a reflection of remembrance, a team of military runners from across the United States came together to embark on a three day journey of over two hundred miles from the Cape May Lighthouse to the New Jersey Gold Star Family Monument in Holmdel, New Jersey to honor every New Jersey service member who has died in support of Operation Iraqi Freedom, Enduring Freedom, Operation New Dawn, and all those who have fallen under the American flag. Each mile is dedicated to a fallen New Jersey Hero and their Gold Star Family. The team stops at each Hero Marker, one every mile, to present a flag and personalized card to waiting family members, friends and comrades. The Viking Yacht Company was honored to again be a part of the New Jersey Run For the Fallen. At mile marker 226, SPC Michael L. Gonzalez was honored at the Viking Yachting Center and John Kasinski and Andy Jackson from the Viking Yacht Company presented the Gonzalez family a check to a scholarship fund in remembrance of Michael as well as a check to New Jersey Run for the Fallen. Mother Nature couldn't rain on our parade! Despite some stormy weather, the annual Viking Employee Appreciation Clam Bake created miles of smiles last weekend. Family and friends feasted on delectable Jersey clams, fire roasted pork, grilled burgers and hot dogs, then topped it off with sweet treats of cupcakes and clouds of cotton candy. The DJ kept the party going indoors and the kids found plenty to do outdoors while plant and boat tours continued throughout the day. Thanks to the staff volunteers who helped pitch in, and thank you to every Viking employee for making the Viking Yacht Company the #1 boat builder in the world. Among the many guests who visited Wider during the recent Monaco Yacht show, the visit of his Serene Highness Prince Albert II of Monaco was of particular significance. Prince Albert II expressed great appreciation, and considerable insight, for the technology employed on-board the ground-breaking super yacht. However, his visit was not only to see first-hand a yacht that has been so widely publicized and talked about: the Prince, together with the CEO of RINA, Ugo Salerno, bestowed the vessel with the prestigious RINA Platinum Green Plus award.